Fun and addictive One Pager hosting a game where you guess whether or not a dot is in the centre of a shape. Real good execution too, take note of the share button transition and also the different in-and-out transitions of the info panels – lovely touch! This game is very simple. 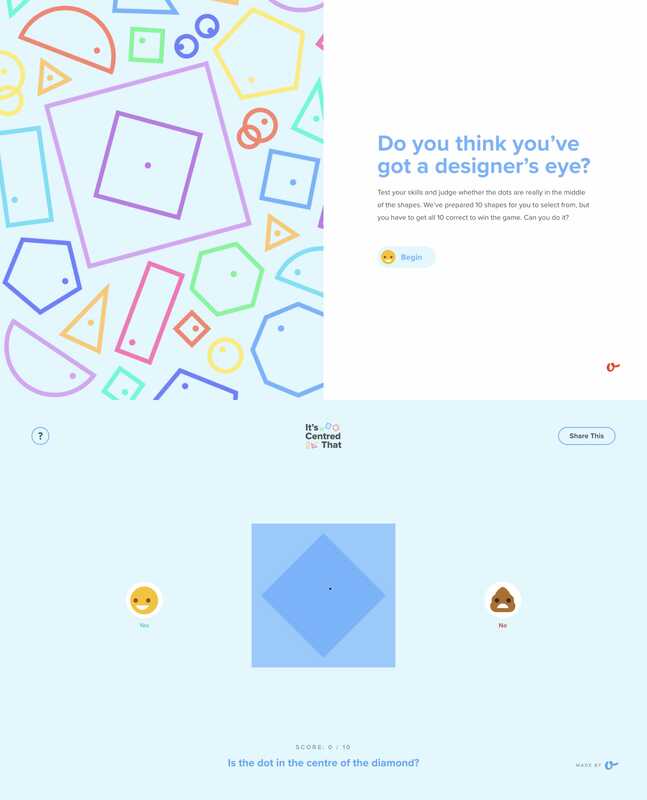 There are ten levels created to test your design eye. Simply guess whether or not the dot is in the centre of each shape by selecting the smiley emoji for yes, or the poo for no. Guessing the correct answer will score you a point, progressing you to the next level. Getting a question wrong ends the game with a splat. Can you get all 10 correct?